One Trustee Vacancy, Three Candidates, No Taxpayer Voting Allowed–Who Will be Appointed to the Private Club? The library has one trustee vacancy and three trustee application submissions (as of 12/1/16). This is great! There is obviously community interest in serving on the library board. Since 10/30/15, seven trustees have been appointed, and we have three applications pending—10 people in 13 months. What isn’t great though is that six appointed trustees alone will decide which of those three eligible candidates are deemed worthy to serve with them on the board. Other association libraries, either by public insistence or by board choice, moved to a democratically elected board model. 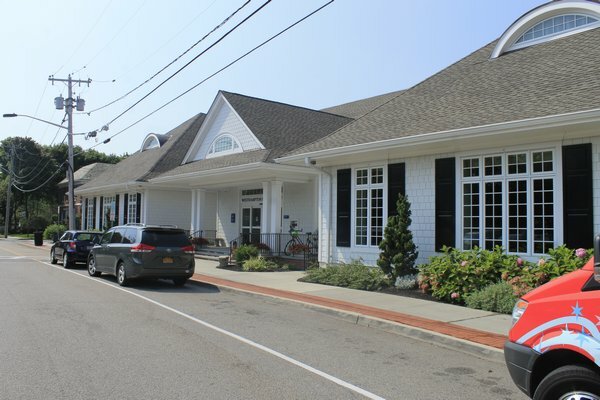 Though local taxpayers repeatedly called for an elected board at Westhampton for months, our library in April decided to remain an appointed body. No public ballot referendum allowed. No public town hall meeting scheduled for community input. Not following in the democratic footsteps of the Port Jefferson Library that went to an elected board in 1990, or Rogers Memorial in 1996, or John Jermain Memorial Library in Sag Harbor in 2004, or Shelter Island in 2011 (to name just a few other Suffolk County association libraries), the Westhampton appointed board in April chose to cling to the 1897 Charter establishing our library as a “private corporation” with only the appointed trustees as “voting members” of the association. Each taxpayer should have a vote, a say, in how they wish the library to be governed. The public funding the library should meet the candidates, hear their ideas and platforms, and the public should decide together. The current appointed trustees are free to run for election as well, and the elections can be phased in (as other libraries have done) so that there is some continuity of governance. Is an elected board necessarily “better”? No. But it might be. Nevertheless, it’s the right, fair, democratic thing to do. 71% of association libraries on Long Island have moved to an elected board; 13 of 19 Suffolk County association libraries have elected boards. Westhampton has a nearly $3 million operating budget with over $4 million cash (mostly accumulated tax dollars, and a $1.3 million donation) sitting in the bank. It’s not 1897 anymore when wealthy benefactors solely supported library operation. Appointed isn’t American. Next Who Might Be Appointed At This Month’s Board Meeting?